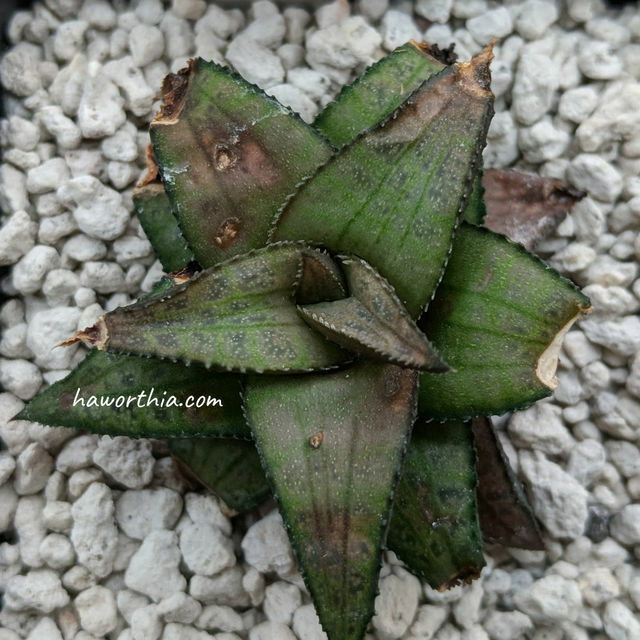 While it is normal that the outer leaves of a Haworthia gradually wilt, a wilted inner leaf is often a sign of a growth problem. The first thing to look for is insects like mealybugs and thrips. Leaves bite by them are subject to infections. Besides, in water, overwatering is another common cause. Under lower temperatures and less intensive lights, Haworthias are less active and overwatering can lead to root problems. 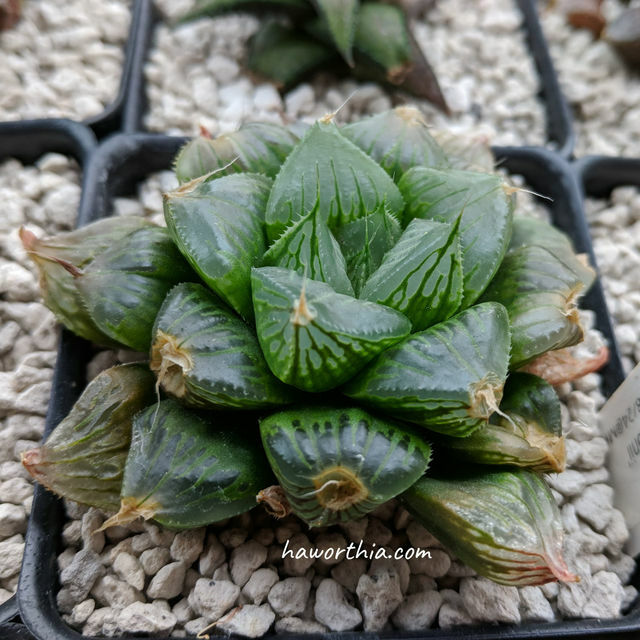 Before more severe damages like root or leaf rot can be observed, some Haworthia species will have wilted leaf tips or edges, or dark necrotic areas. As both a preventative measure and a treatment, the frequency and quatity of watering should be reduced during this time. A H. cooperi hybrid with wilted leaf tips. The new leaves growed after winter don’t have this problem.